1. Hi Mark! You have been one of the oldest Zcode experts, joining us when Zcode was a small group on facebook few years ago. Please tell us more about yourself, where are you from? Hey Z-Code. It’s been a while, indeed. I remember our Facebook startup fondly, and am proud to see how much we have grown. I love this community, and I am incredibly pleased to be a part of something so wonderful. I’m from New Jersey, thus the Devils system and the Yankees pride (though I’m not as stubborn about my loyalties to Wall Street’s inflated MLB money lines). I’ve got an engineering degree, so the statistical analysis and algorithmic approach to this community is right up my alley. 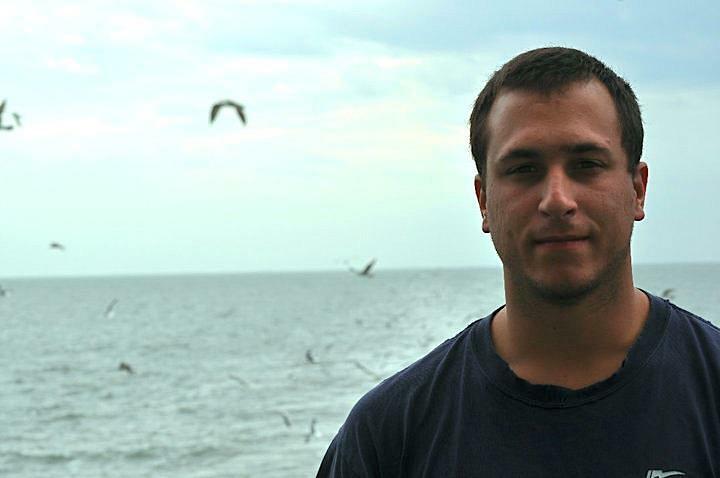 My sports background both as a lifelong fan and a D1 baseball player, club rugby captain, and two-sport high school captain has made sports investing a natural way for me to pursue writing and sports, and make money all at once. All in all, this is naturally a perfect fit for me. 2.Over the years of sports betting your concept changed from Devils systems to a variety of ABC and AB progression betting on MLB. Please tell us more about your new approach to betting? I never believed in progressions in baseball. I thought they were a scam used by dirty handicappers to show inflated win rates, and for people with infinite bankrolls. I now realize they are a true asset to any long-term system. Trey and Z-Code have converted me from my inconsistency to a systematic and sustainable approach to profits. I’ve never been more profitable, and it seems foolish now to ignore the statistical edge you can pick up over the course of a series, something unique to baseball. My flat bets still carry my systems, but my progressions lend stability to an otherwise volatile forum. I outlined the filtration system I use in the book we wrote, and through this more consistent style of betting for baseball, I’ve made a sustainable, long-term system. I use multiple parameters and utilize a new level of discretion by filtering through all parameters for a single game. I look through the entire matchup for pitching edges, using the personal knowledge that once drove my system in its entirety. I compare my evaluations of team rosters and who I think has the better team overall. I then use the momentum a team has as outlined by z-code, the oscillators, and the star and moneyline percentage parameters of the z-code output to make my pick. If all parameters align, I press it. I trust my ABC bets, and I make fewer flat bets. If they conflict, I stay away. I also avoid bets with volatile teams and bad teams, because they seem more unpredictable in my system. Applying these principles to the JPM filtration in NBA at the start of the year and my baseball forum since April, I’ve produced (and in the case of JPM, helped produce) extremely profitable systems. I couldn’t be happier with our success this year. I still have my Devils system in hockey, but I think you have to recognize when to jump off. It’s designed to be a total roller coaster. In years past when I was more aggressive (and naïve) I may have rode that into the ground. Last year alone, we made more money than any other system I know when New Jersey finished with 100 points in the regular season and made it all the way to the Stanley Cup. That ECF prop bet paid out 32 units on 4. That’s a full season worth of profits for me, and it helps when the system crashes like this year. 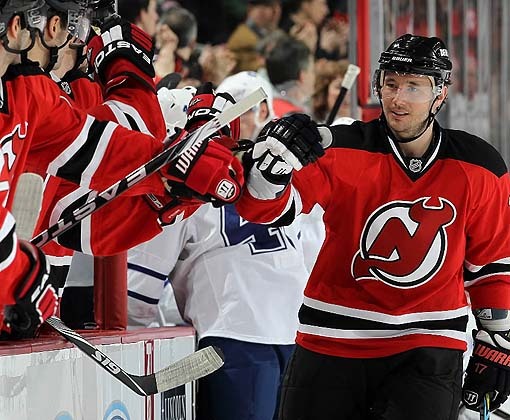 The Devils are a streaky team, but you don’t have to sink with them, I suppose. That system is evolving, it will be better next year – but we still have the small-market sandwiched in big-markets moneyline edge when the Devils are competitive and healthy. That won’t change. We had a tremendously profitable start to the season, then our goalie went down (and we lost a good amount of our profits), and then our best player went down and I terminated the system before we took too much damage on that losing streak without Kovalchuk. It finished in profit, but only slightly, and if we rode it to the end of the line with similar bet amounts, we would have lost a ton of money. Everything became a “very very low confidence bet” down the stretch, and thank goodness. I still think hockey is my best sport, and definitely my favorite, but this year it was less profitable than most (but still, slightly, a profitable system). Luckily, the playoffs are off to a great start already. 3. What do you think of the future of online betting in USA? Will the laws be softer sooner or later or Vegas monopoly will only allow offline betting? It’s a toss up. It looks bleak right now, as cities like New York don’t even allow off-shore sites to accept money. However, it seems sports betting will be legalized in New Jersey soon, which could open the door to other casinos besides Las Vegas doing the same. It’s growing, and the idea that it corrupts the game is starting to fade. I think it’s going to grow, but the question is what legislation it can sidestep as it does. 4. Your tips to the newbie sports investors? Discretion and money management. Discretion and money management are the key to success. I can’t stress this enough. The Stamos school of sports investing has made a huge impact on my betting style. If you don’t chase your losses, and you keep long-term goals and a winning mindset, you’ll beat the books with the right tools and approach. Too often people lose quickly and drown in it by making things worse and making bigger bets. I lost 20 dollars today, tomorrow I’ll bet 40… and so on until your bankroll is exhausted. Use a unit size to control that urge, and vary it only in individual pick confidence – not desperation. For me, in my six years publishing my picks, the only way to remain in the green is to recognize that you can’t win every single day. When I was new to sports investing I made a lot of mistakes with my money management. For me, that’s the value of the Z-Code System. It keeps you consistent, takes emotion out of it, and helps you sustain profits in a linear, long-term fashion. That’s why my baseball forum has remained so consistent, and that’s why I didn’t lose my house when the Devils tanked. 19-year-old Mark probably ends up on the streets (haha). 5. 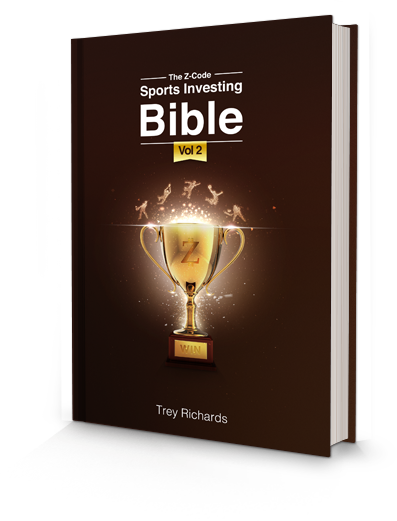 Tell us more about Zcode Sports Investing Bible book you co-wrote and edited? We got all of our best contributors together to share their insights on the industry with the goal of helping people understand how to be successful in sports investing. A lot of the book centered on creating the proper mindset to sustain long-term profits. We also broke down each expert’s winning systems, how they were developed, and why they work. It was truly wonderful to see how well this group effort came together. Everyone submitted what they thought was integral to their success, and the result for the reader is that they can combine the bits and pieces of winning systems and find what works for them. The novice gains an understanding of the industry, while the expert gains the insights of his finest colleagues. Whether you simply want to follow a proven winner like Trey and win with him, or use multiple experts and Z-Code tools to find winning picks of your own, everything you need to win (and keep winning) is in those pages. It sits right on my coffee table reminding me the importance of consistency (and it’s something I’m proud of, so why not show it off?). 6. I cant help but ask, your Stanley Cup 2013 final winner pick? and NBA 2013 final winner? Rapu got Bruins and Grizzlies winning it all. I know it’s still early, but if you had to say with the gun to the head, what’s your call? It’s not early at all! It’s late compared to when we usually make our finals predictions. In the NHL, I’ve got chalk in my bracket for the first time in a while. I just think that the Penguins and Blackhawks blow away the rest of the field. Those seven-seed upsets (as predicted) should make the road even easier. In the East, I love the Penguins (to win, I hate them in actuality). The Rangers and Bruins will beat each other down and both teams survived seven-games in the first round. Pittsburgh should be fresh, and they’re the best team in hockey right now, even with their goalie problems. In the West, I think the Blackhawks are just dominant. They’ve had the best season of anyone in the NHL, and the West is theirs to lose. They’ll have to fend off some streaking, lower-seeded teams, but I think they’re much more talented. When the two meet, I think Pittsburgh will get the better of Chicago. That was my prediction before the playoffs started, and I’ll stick with it. After another profitable, six-win first round, I’m pretty excited to play with house money through the rest of the bracket. In the NBA… can anyone really compete with the Heat? The Bulls should serve as a sort of vaccination to the style of play that the Pacers utilize, and nobody from the West is healthy or talented enough to take care of Miami’s athleticism. I think they’re the run away favorite again, and after they won it for us last year, I’ll put the money they won me back on Miami. –Thanks for the interview. This is the happiest time of the sports year for me. NHL playoffs, NBA playoffs, and some MLB systems to balance it all out. What more can you ask for, besides the NFL of course?